This 12 pack pet blinker replacement batteries can be delivered in 2 to 5 days. 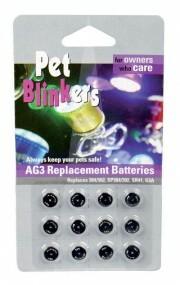 Pet blinker replacement batteries (12 pack). 12 Volt Power Supply, 1000mahs by Safety Technology can be delivered within 2 to 5 days. 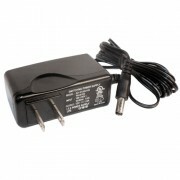 This 12 Volt Power Supply, 500mah can be delivered within 2 to 5 days. The 130db personal alarm will alarm others when should someone try to attack you. 16 Channel Embedded DVR H.264 Compression Rate, 240 FPSs by Safety Technology can be delivered within 2 to 5 days. 16 Channel Embedded DVR H.264 Compression Rate, 240 FPS With 2TB HDs by Safety Technology can be delivered within 2 to 5 days. 16 Channel Embedded DVR H.264 Compression Rate, 240 FPS Without HDs by Safety Technology can be delivered within 2 to 5 days. 16ch DVR Complete System, 1TB HD 16 Wired Cameras with Monitors by Safety Technology can be delivered within 2 to 5 days. 16ch DVR Complete System, 1TB HD 16 Wired Cameras without Monitors by Safety Technology can be delivered within 2 to 5 days. 16ch DVR Complete System, 1TB HD 4 Wireless 12 Wired with Monitors by Safety Technology can be delivered within 2 to 5 days.